Featuring a refreshed exterior that sports both a redone front and rear end, the 2017 Hyundai Santa Fe is a terrific six-or seven-passenger family crossover that drivers have been flocking to for years. Newly available features this model year include LED daytime running lights, a standard 7-inch touchscreen interface, a host of new safety systems and a third-row USB charging port. These exciting amenities mean that the 2017 Hyundai Santa Fe in Arlington should continue to be a family favorite among local new car shoppers. 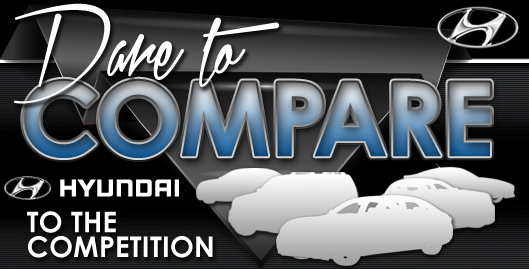 There are two versions of the 2017 Santa Fe: the standard model and the Santa Fe Sport. Smaller, but available with a high-powered turbocharged engine, the Santa Fe Sport is perfect for shoppers who don't need the immense cabin space of the regular model. 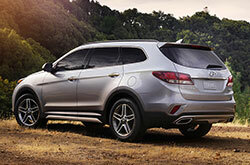 Shoppers will find three available trims on the Santa Fe Sport, while the standard Santa Fe comes in four. Both models are similarly equipped, but many 2017 Hyundai Santa Fe reviews suggest choosing the standard version if you're looking for the most standard features, including 18-inch alloy wheels, automatic climate control, a review camera and automatic headlights. There are also a plethora of luxury features available on the 2017 Hyundai Santa Fe near Dallas, such as a panoramic sunroof, heated front and rear seats, a navigation system, and keyless entry and ignition. Under the hood, the standard Santa Fe is powered by a 3.3-liter V6 engine that produces 290 horsepower and 252 lb.-ft. of torque. 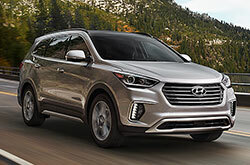 The Santa Fe Sport comes with two engine options: a 185-hp, 2.4-liter inline four or a 2.0-liter turbocharged four that gets around 240 horses. All engine options sport a standard six-speed automatic transmission, as well as front and all-wheel drivetrains. 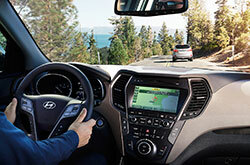 2017 Hyundai Santa Fe reviews have consistently praised the many safety features on the family sedan, especially the newly available advanced options, such as adaptive cruise control, emergency braking with forward collision mitigation, lane departure warning and a 360-degree parking camera system. These new amenities have earned the 2017 Santa Fe a top rating of "Good' from the IIHS, solidifying its place as a leading family SUV near Dallas. 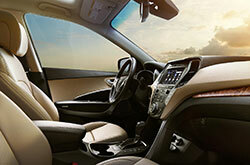 Stop by today to take the new Santa Fe for a test drive! 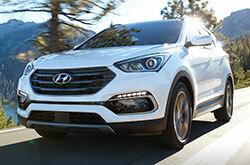 If you've been searching for new car models near Dallas like the 2017 Toyota RAV4, Ford Explorer, Mazda CX-9 and the Chevrolet Equinox, then you should absolutely check out the 2017 Hyundai Santa Fe. You could end up fancying its five-star in-car technologies and rakish exterior styling among other qualities. Utilize the tools in our review to find out if the 2017 Hyundai Santa Fe is a fit for you, then browse the latest financing offers! As your resident Hyundai retailer, we're the location to find offers on the Hyundai Santa Fe, as well as other new and Certified Pre-Owned vehicles. We hope our well-researched 2017 Hyundai Santa Fe review helped you find the specifications you need to make a confident buying decision. 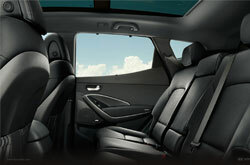 Stop by to love a test drive at Vandergriff Hyundai, where you can see the Hyundai Santa Fe upfront. Also, preceding your visit, you can see its chic cabin from all sides by looking at our video recording.